Have you completed your Open Water Diver course and want to see more of what there is to do with this great sport? Then this is the place to start. With the Advanced Open Water course, you are introduced to new parts of diving ranging from Night Diving to Wreck Diving and even Underwater Photography. You can complete this course online! If you do the on-line there is a charge for the open water training. 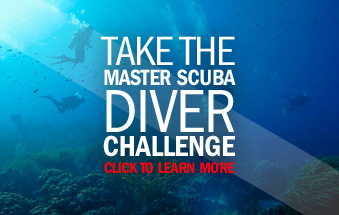 Register for The Online PADI Advanced Open Water Course Here!